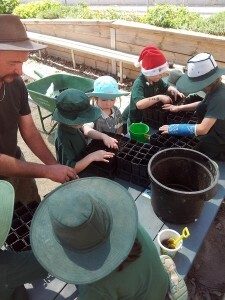 Sustainability at Flowerdale Primary School is a priority. 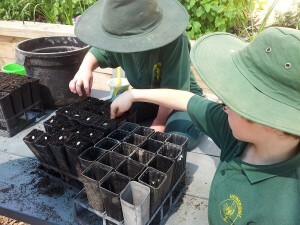 Our students, staff and community are connected to their natural world through propagating, nurturing, producing, protecting and revegetating. 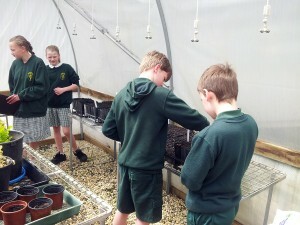 Flowerdale Primary School promotes values related to environmental care and responsibility at school and beyond. Our students and teachers can investigate and learn about their local flora and fauna by interacting with the natural environment within the school grounds and surrounding area. Our students are the foundation of the Flowerdale Junior Landcare Group, which actively participates in Landcare revegetation programs within the Flowerdale district. Additionally, the school’s propagation unit is a shared resource, enabling students and community members to raise their own seedlings for food production and revegetation projects at home and in the community.